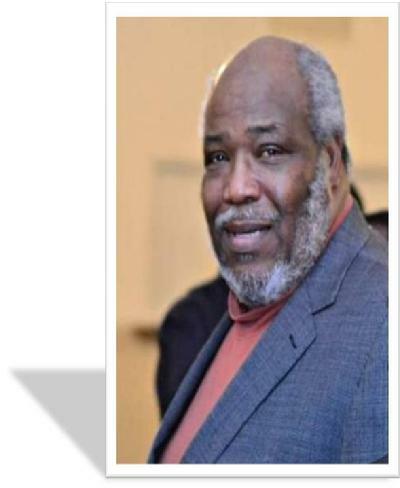 Deacon William “Don” Terry III, 59 of Syracuse, NY, passed away peacefully and went home to be with the Lord on October 13, 2018, at University Hospital, Syracuse, NY. His loving family was by his side. Don was born to William and Esther Terry on December 21, 1958 in Hampton, SC. He was educated in SC until moving to Syracuse at the age of nine. He attended Syracuse City Public Schools, graduating from Henninger High School where he played football, and shotput (track and field). He was named All State First Team-Class of 1977. He went on to study at Hobart College. He was a member of New Jerusalem Missionary Baptist Church, Cummings, SC where he served on the Deacons Board, Trustees Board, Missionary Department, former Sunday School Teacher and Head of the Youth Department. He was formerly employed at Upstate University Hospital for thirty-eight years until retiring in July, 2018. Don was very passionate about serving the Lord; and, he served the Lord fervently. He enjoyed participating in church activities and functions. He also volunteered at the Rescue Mission and was a mentor for the Project Search Program. He was an avid sports fan and enjoyed watching a good game of football. Don served on the Terry-Lightsey Family Reunion Committee since 2006. At reunions, we enjoyed his fried fish and was infamous for his iced tea and peanut butter cookies. Don had a caring, calming spirit for everyone. And, it showed. He was always encouraging and motivating others to “Do Better”. He was unselfish and always put others before himself. Known to many as “Uncle Don” our gentle giant had the widest smile and a highly contagious laugh. We will all miss his conversation starter… “Let me ask you a question”. He was preceded in death by his sister, Loretta Miller. Deacon William “Don” Terry III leaves to mourn his passing, cherish his memory, and celebrate his life his five children: Darina Marie Brown and Donniesha Shareese Terry, both of Syracuse, NY, J’Quan Dimitri Slaughter of Rock Hill, SC, Daquan Ali Terry of Atlanta, GA and Brittani D’lyce Terry of Syracuse, NY; His mother and father: Esther and William Terry of Early Branch, SC, two sisters: Mildred Webb and Pamela Michelle Terry, one brother Alexander Terry Sr., all of Syracuse, NY; a host of nieces and nephews, family and good friends.